There's something pretty wonderful about putting a clean infant into fresh jammies, giving him his nighttime feeding, warming him in a flannel blanket, and snuggling him with that new baby scent--as he drifts off into a happy slumber. Oh, how I love holding that soft soft warm bundle of a baby! I fondly remember bathtime with my 4th child: he was so nice and plump that he had rolls of fat at the very top of his leg. Pinch pinch pinch (of course in the most gentle, playful way)! As the mom of 5 children, infant bathtime never became tired--although I was definitely tired after bathing 5 children in a row! However, being well-prepared always ensured that the bathtime experience went as smoothly as possible. At infant bathtime, I always filled a small plastic baby bathtub with warm water that I tested at least twice. I would carry it to my bed and place it on top of an absorbent towel. My room was always heated beforehand, and never chilly. I had washcloths, baby shampoo, bodywash, and a hooded towel ready and within easy reach. At a splash-proof distance away, I also had clean jammies, a fresh diaper, wipes, baby lotion, and antibiotic ointment for baby's umbilical cord. My secret to a better night's sleep for babies (and their parents!) is to never skip bathtime, unless the circumstances are extraordinary. Bathtime relaxed my babies, warmed them up, helped with their digestion, and settled them down by bedtime. Of course, the intimacy and one-and-one time between parent and child is invaluable. As my babies moved out of the newborn stage, bathtime became more about playtime then about just getting clean. I added rubber duckies, cups, funnels and other water toys to the bathtub to engage and delight my kids. While the kids played, it became easier for me to wash them as they were busy at play. This was the age that they started to object when bathtime was over, as they wanted to stayin the water and have fun! The photo does not show how many bottles me needed to prepare for nightime, which would have been about 5-7 bottles! 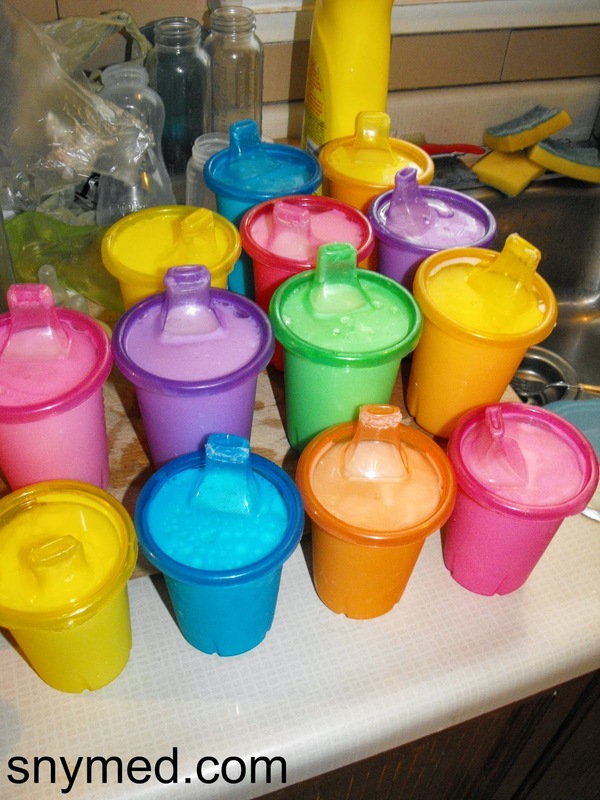 Yes, we were always washing sippies and bottles! Have you heard that JOHNSON’S®NATURAL® baby products are paraben-free, dye-free and phthalate-free? Even better, they have also improved the line! With over 100 years of baby care knowledge behind them, parents can feel confident that JOHNSON’S® will be gentle on baby’s skin. 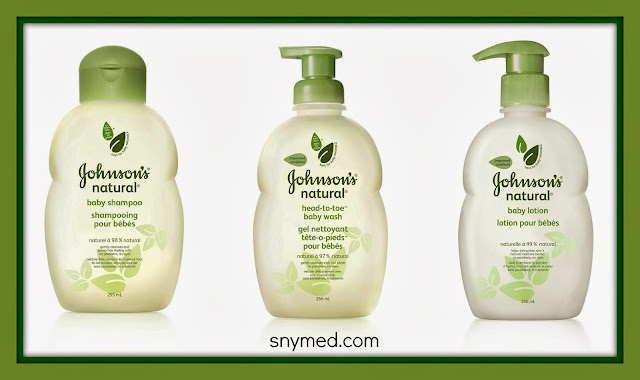 And JOHNSON’S® NATURAL® baby products are also made from 97-99% naturally-derived ingredients! Visit the JOHNSON’S® Baby page on the BabyCentre website, or visit JOHNSON’S® Baby Canada on Facebook! What's your favourite part of the baby stage? What is/was your biggest challenge in the baby stage? Disclosure – I am participating in the JOHNSON’S® NATURAL® Blogger Campaign by Mom Central Canada on behalf of JOHNSON’S® NATURAL®. I receive compensation as a thank you for participating and for sharing my honest opinion. The opinions on this blog are my own. Aww, so cute! I love the new Johnson's Naturals line; it's such a great extension of the original Johnson's line! My girls have grown out of the bathing stage, and have moved on to showering.. but occasionally, they like to still hop into a bath. These products look great, and i'm sure they'd love them. My heart just exploded. Bath time was such a special time when my girls were young. Too cute. Thanks Anne! That's my middle child of 5. What I put on my child's skin is very important. I need to check this out! I am calling you supermom! 5 Kids under 5!! That's crazy! We have always been a JNJ fan in our house since day one. We go through waves during bath time at my house. We go through a period of YAY it's bath time to NO NO NO bath time and back again. I love the new Johnson's Naturals line,Oh the fun your home must have with 5 children.Enjoy they grow so fast.